This week there's one company we've been dying to know about - Snap. It's a company that was hailed as the next Facebook, but has most recently had an extremely tough time on Wall Street, especially after its - hold your yawns please - Q2 financial results. The thing about Snap is while it started as an ephemeral video chatting app, it has slowly started to morph itself into something more: a modern camera company. That includes wearable devices - hi, Spectacles - and augmented reality. The problem with Snap is that it's a camera company that doesn't really sell cameras. You're right. That is certainly a camera, but it's also not selling so hot. While Snap doesn't outright say how many Specs it has sold, it does place the revenue from them in its Other category in its financials. From that, we know it's made $5.4 million this quarter, which is fewer than 42,000 pairs of Spectacles. Not at all. It's 35% fewer than the revenue from Q1, which is a pretty immense drop. 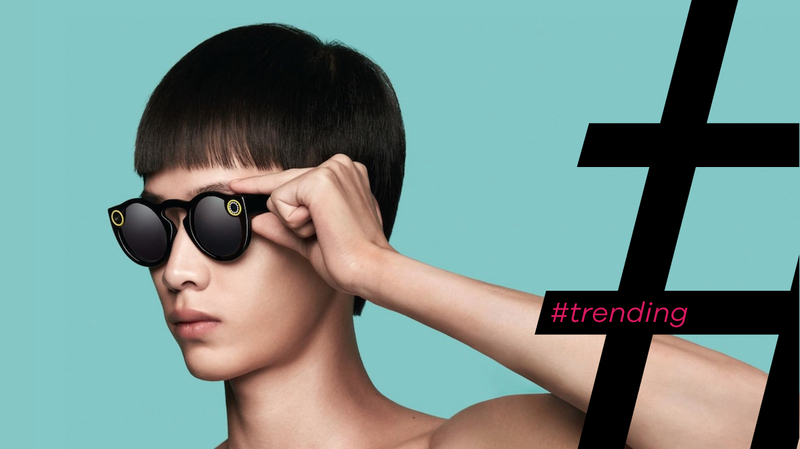 Overall, Snap has sold about 90,000 pairs of Spectacles. The good news for Snap is that it's recently started pushing them more, selling them on Amazon and other places people like to shop. However, those numbers won't show up until Q3, so we won't know for a while. But that's still the only camera it sells? Yep. Snap has made some moves that position it to sell other cameras, but we haven't seen those come to fruition yet. Back in March we learned the company was looking at new hardware to develop. Specifically, it was working on a 360-degree camera, which it was developing with technology it acquired when it bought a company that specialized in 360-degree cameras. That's not all though. The company is also looking at mounted cameras for action sports and stereoscopic cameras for 3D images. And more recently, it purchased Zero Robotics, a company that makes small drones. Whatever happened to Snap's AR play? Still in process! CEO Evan Spiegel made sure to mention its now-infamous dancing hotdog, which the company says has been viewed more than 1.2 billion times on Snapchat, is the "first augmented reality superstar." I'm sure Pikachu would disagree. Regardless, that brings us all the way back around to Spectacles. They're making AR glasses, aren't they? Maybe. Snap is reportedly looking to do something radically different for the next pair of Spectacles, and that may include some fancy AR powers. AR is obviously a big area of interest for Snap. It's hired, and keeps hiring, employees well versed in augmented reality, including folks who have worked on HoloLens and Qualcomm's Vuforia platform. It also purchased augmented reality startup Cimagine last year. And then there's the hard evidence: Snap has a patent for a pair of glasses with AR tech on board. But how does it tie this all together? That's the tricky situation Snap finds itself in now. It's got a platform that's not adding a whole lot of new users, but still has good engagement, especially amongst millennials (the average Snapchat user creates 20 snaps a day). Snap clearly wants to find a lot of ways for people to create content for its platform, from wearable cameras to drones to smartphones. One way to keep people engaged and coming back is to offer a slate of constantly-evolving, compelling AR content. That's one way to put it. Snap needs to do two things to turn it all around: it needs to give people fun, unique pieces of augmented reality that keep them engaged in its platform - and it needs to make a whole lot more wearable cameras.